Today was an early day for all, with each group finishing their last field work rotation. These past few days have been filled with service learning activities that, although hard work, have been proven to be quite fun and educational. 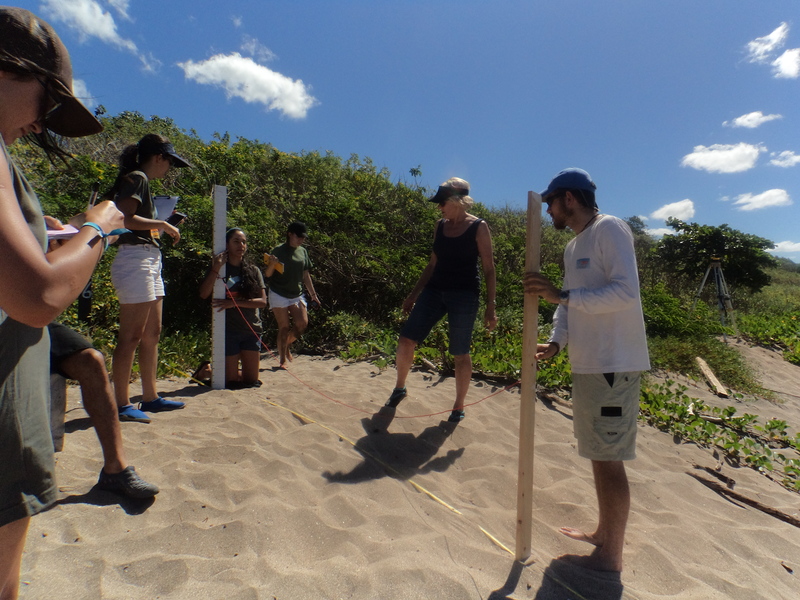 Let’s take a look at some of the student’s favorite activities these past couple days…..
Patrick Costa enjoyed the beach surveying because he felt it was the most familiar to him. 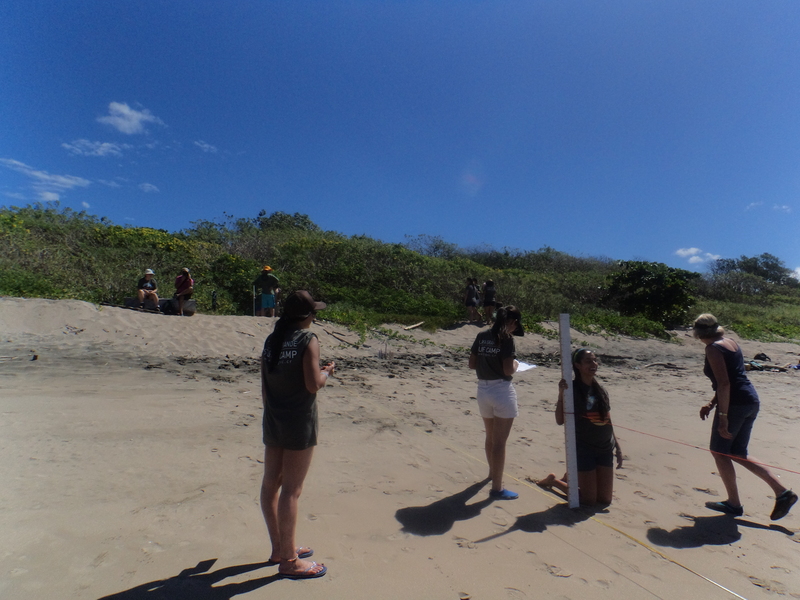 Lauren Zahn also really enjoyed beach surveying because “I loved being able to interact with the Costa Rican students and teach them what I knew about surveying. (Being on the beach all day was also a major plus! 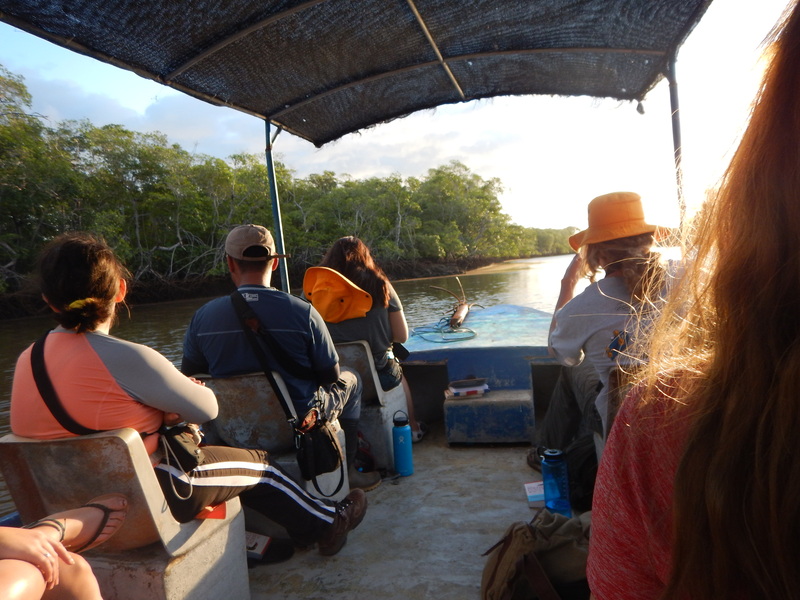 )” but added that “the mangroves were [also] fun because it was something I had never seen before and I found the complexity of the system to be fascinating”. 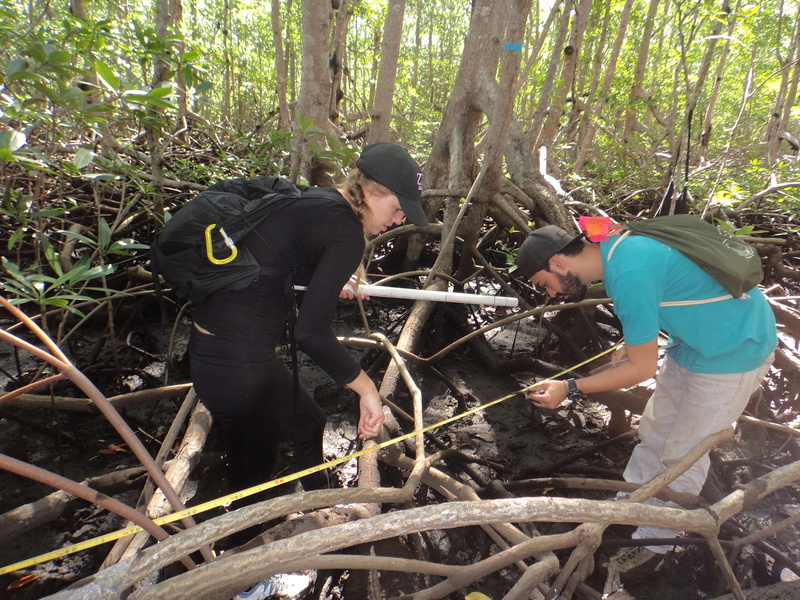 Leomaris Pena agreed that the mangrove monitoring was one of her favorites because she learned how to navigate and maneuver the mangroves, as well as learn about their ecological importance while getting a killer workout climbing and crawling through branches!”. Lastly, Dakota-Rose Whearley found all the fieldwork assignments to be enjoyable due to their different contributions to environmental research but overall, felt that the bird monitoring and vegetation curtain walks were her favorites: “I found those to to be the most peaceful and inspiring for me on a personal level”. Again after dinner, anther group of students monitored the beach looking for sea turtles but this time with a bit more luck then the night before…this time, the group was able to actually see one of the sea turtles on the beach! Lucky them! Fun fact: We were all lucky enough to enjoy the view of a beautiful Costa Rican full moon tonight.